It's tricky to create a great sleeping area in a one-room apartment. Perhaps there is just one window, the bed morphs into a sitting area or you are simply jammed up against the kitchen. This isn't just bad for your sleeping habits—it changes the entire dynamic of your home life. But don't be discouraged! 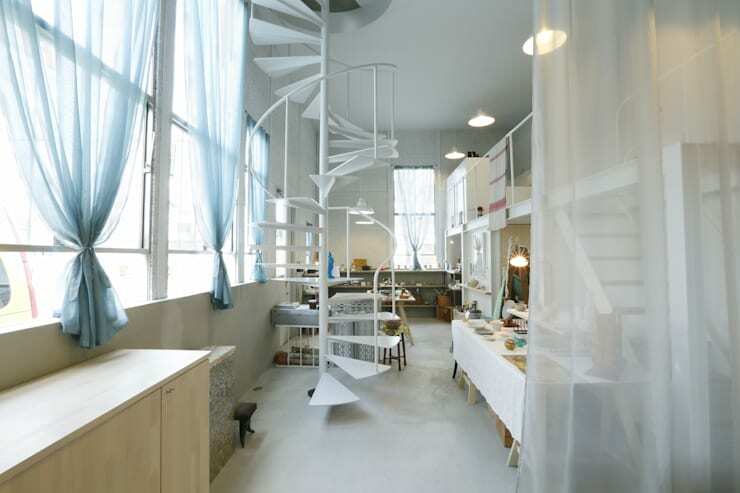 Tiny living can be incredibly stylish with the right approach. These utterly sophisticated cool glass panels close off the sleeping zone without shutting out the natural light! Go frosted for a little more privacy and mystique. 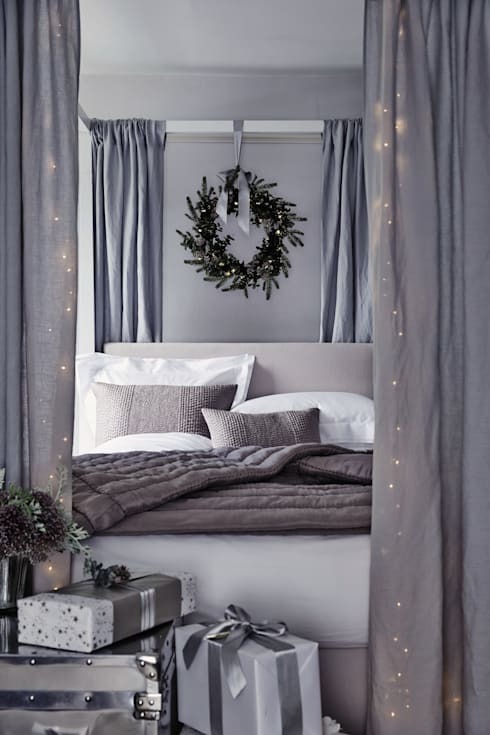 These tall swaths of fabric add just the right otherworldly feel that's perfect for creating a dozy sleeping cocoon. Opt for a light and airy fabric and watch it flutter gently in the breeze. Your bedroom usually consists of just two furniture items—your bed and your wardrobe. 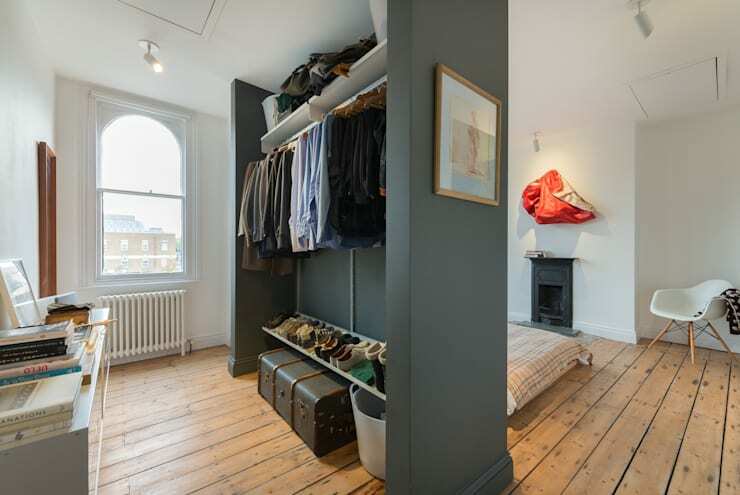 So put your wardrobe to work and make it divide the room in two. A wooden platform is one such solution that could work in a temporary living situation. It could also be a great way to introduce additional storage space and make your sleeping area feel clean and separate from the living space. 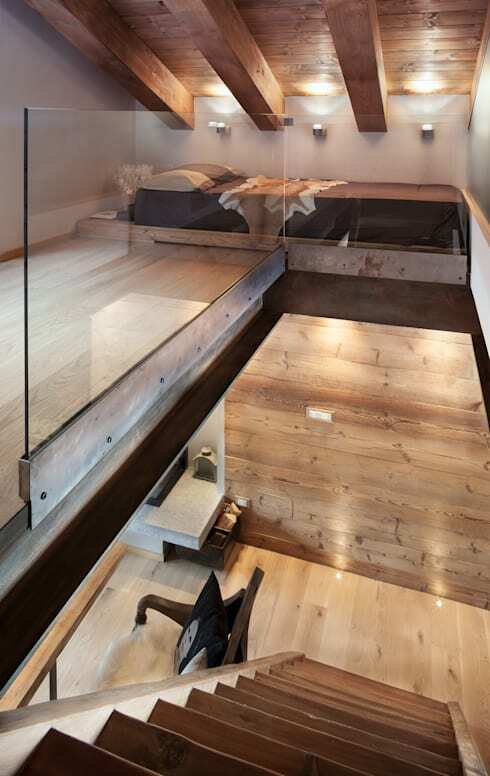 The cool thing about a heavy glass bedroom partition is that it allows natural light to enter the bedroom. This is great for small homes where you may need to build the barrier right up against the bed. Four poster beds have an old-world romance that is just perfect for the bedroom. Look at investing in a great new bed or simply reforming your existing support structure. Some lavish curtains could cover up any unsightly transition points and create a dreamy bedroom partition. 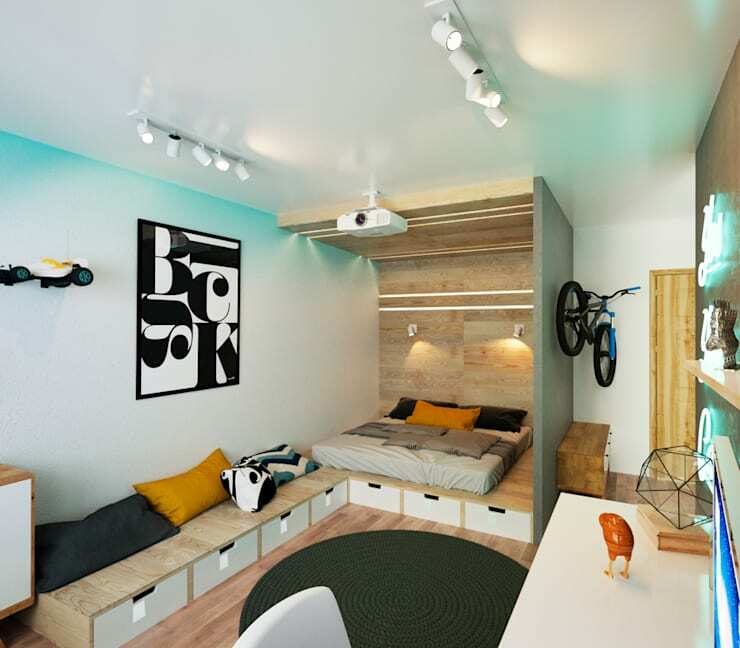 This snug bedroom has been created with some great storage cabinets. If you are renting and can't install a permanent solution, there are lots of ways something like this can be created with some ordinary storage cupboards and a little DIY creativity. If you have a little more room to move, think about installing a small wall like this. It works so well because the bed is orientated to face away from the main walkway. 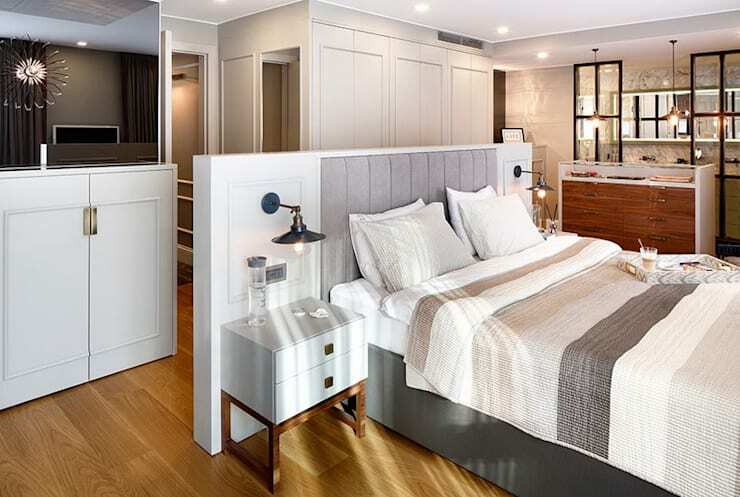 In a small home for one, it's not always necessary to create a physical bedroom partition. Sometimes all you need is a psychological barrier and nothing can do this quite like a bright burst of colour! If you're in the mood to refresh your bedroom, take a look at these Creative Bedside Tables for more inspiration. 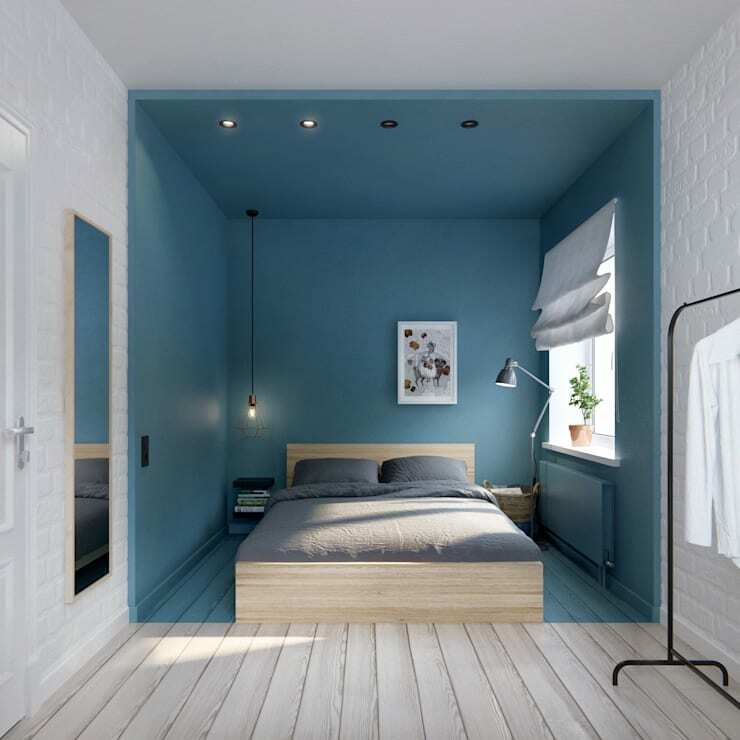 Which of these small bedroom ideas is your favourite? Let us know in the comments field below!